Newly elected Harris County District Attorney Kim Ogg sent 37 veteran prosecutors packing Friday as she prepares to take office. HARRIS COUNTY (KTRK) -- Newly elected Harris County District Attorney Kim Ogg sent 37 veteran prosecutors packing today as she prepares to take office on New Year's Day. "Like with any good team that's suffered a few underperforming seasons, we're changing management. My administration is headed in a new direction," Ogg said. 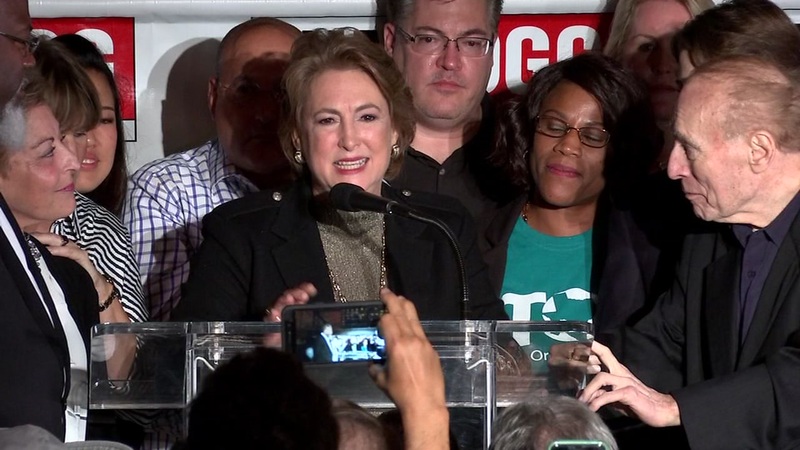 At a late afternoon news conference on Friday, Ogg said her transition team had reviewed hundreds of personnel files since the November election. Today, she notified 37 veteran prosecutors they "will not be invited back" when she takes office. Each was offered the chance to resign today. The decisions announced today, Ogg said, affect mostly management level positions. "Most of those let go today do not have active cases," Ogg explained to reporters. While a list of names was not provided, ABC13 sources suggest it includes mostly veterans at the Chief and Division Chief level. They are prosecutors who make decisions about how cases are prosecuted instead of directly working with defense attorneys and juries. The exception is high-profile cases - sources suggest the prosecutors on the Josue Flores & Deputy Darren Goforth murder cases were among the group let go. Ogg assured the public she will hire a diverse group of prosecutors from inside and outside of the current staff to fill the management roles and prosecute those cases. "Today, Kim Ogg fired by email 37 experienced prosecutors 9 days before Christmas. With her first act as District Attorney, Ogg is endangering the citizens of Harris County. The dedicated prosecutors let go today had a combined 685 years of service." "That is irresponsible," Ogg fired back, insisting, "This decision does not make people less safe. We are simply changing management. The business of the DA's will go on.>"
Asked if any of the prosecutors were let go for potential prosecutorial misconduct, Ogg refused to comment on specific decisions.